Little Lazies "Limited Edition Bunnies" were gone in a flash during Friday and Saturday's sales, but "Random Bun-Buns" have been added to Little Lazies Etsy store. If you miss out on this initial run of blind bag bunnies as well, no worries, they will be restocked at a later date (once all the current orders are fulfilled). 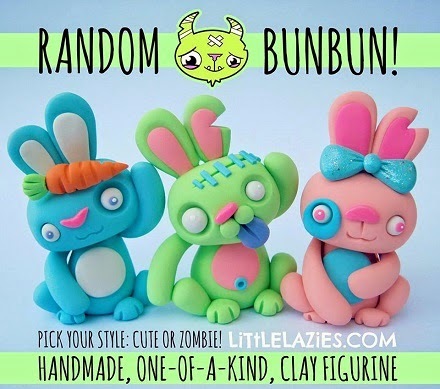 So skip the chocolate and jelly beans and treat yourself to a calorie-free cute or zombie "Bun-Bun."